We’ll explain everything you need to know about what is an air purifier machine and what types of contaminants they can get rid of inside your home. At its core, an air purifier is not that complicated to understand. In simple terms, these devices remove pollutants and allergens from the air so you don’t breathe them into your lungs. The truth is that there are millions of microscopic particles floating in the air around you. Some of these particles include outdoor air pollution while others are produced by indoor products. With every inhale of your breath, you pull some of those harmful particles into your lungs. If you have asthma or allergies, then you undoubtedly notice the negative side effects of breathing in bad particles faster than someone who doesn’t have these conditions. Shortness of breath, a stuffy nose, and wheezing are sure signs that contaminants have been inhaled. For the rest of us, we don’t necessarily notice the impacts of air pollutants until we’ve had long-term exposure to them. Cancer, heart disease, and brain damage are some of the worse case scenarios while headaches, poor sleep, and congestion are common daily conditions. Doesn’t Routine Cleaning Purify the Air? 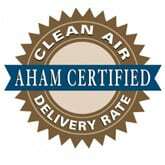 Unfortunately, no amount of dusting, vacuuming, or cleaning can ultimately fix the problem of airborne pollutants. In fact, those actions can actually make the problem worse by stirring up the harmful particles and pushing them back into the air. Plus, many cleaning agents contain volatile organic compounds which lower the quality of air even more. By adding an air purifier to your home, you can ensure that pollutants that cause breathing issues and health problems are eliminated from the airspace around you. What you’ll notice after using an air cleaner inside your house is that you’ll have an improved immune system, deeper sleep, and an overall better feeling of health. If you suffer from asthma or allergies, you should also notice significantly lesser respiratory and nasal issues, making your quality of life much better. If all of that sounds good, take a look at our top 10 air purifiers list to see what’s available. So, How Do Air Purifiers Work? This question is a little bit more complicated to answer because some air purifiers use more than one type of technology to clean the air. If an air purifier is built with a HEPA filter, it operates by pulling air into a dense, paper filter and trapping the particles within it so they can’t float back into the air. HEPA room cleaners are great for people who have asthma or allergies because they can to capture up to 99.97% of particles that irritate these issues from the air. 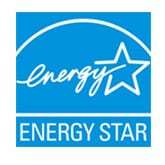 A carbon filter works by collecting pollutants that create smells and odors inside your home. A HEPA filter cannot do this. If you want a fresh smelling home, getting an air purifier that includes a carbon filter is the best choice. An ionic generator is another type of technology that air purifiers may or may not use. This feature works by sending out ions into the air that latch onto harmful particles. This causes the pollutants to become very heavy and can’t remain in the air. These particles then fall to the ground or become trapped in a collection plate that is on the device. 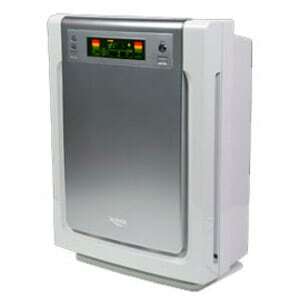 A room ionizer air cleaner is the most affordable type of air purifying device you can buy. The final type of air filtration you’ll find on an air purifier is Ultra Violet lighting. This non-lethal radiation is emitted from the device and attacks bacteria and viruses that pass through the system. It works by breaking apart the molecular structure of these contaminants, which then renders them harmless to your health. This sums up the various methods on how do air purifiers work. As we mentioned above, some products include one or more of these features to strip harmful particles from the air. Depending on how you want the product to operate will determine which options you should look for in a device. Now that you know what is an air purifier machine and how air purifiers work, the next step is finding the right one for your home. We have a large number of free buyer guides and resources to help you choose the best air purifier for your need. As mentioned previously, you can check out our top 10 air purifiers list for the best-rated choices. We also have a guide on the best air purifier reusable filter that’s very inexpensive to own over the long-term. 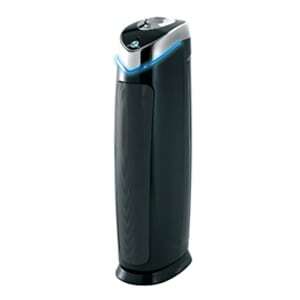 Can air purifier remove odors? What is a wearable air purifier?